An historical villa of 1746 managed with passion by the family Giuli Rosselmini Gualandi for over 20 years. Tenuta di Vignale is located in Riotorto, just 5 km from the wonderful sandy beaches of the Gulf of Follonica. 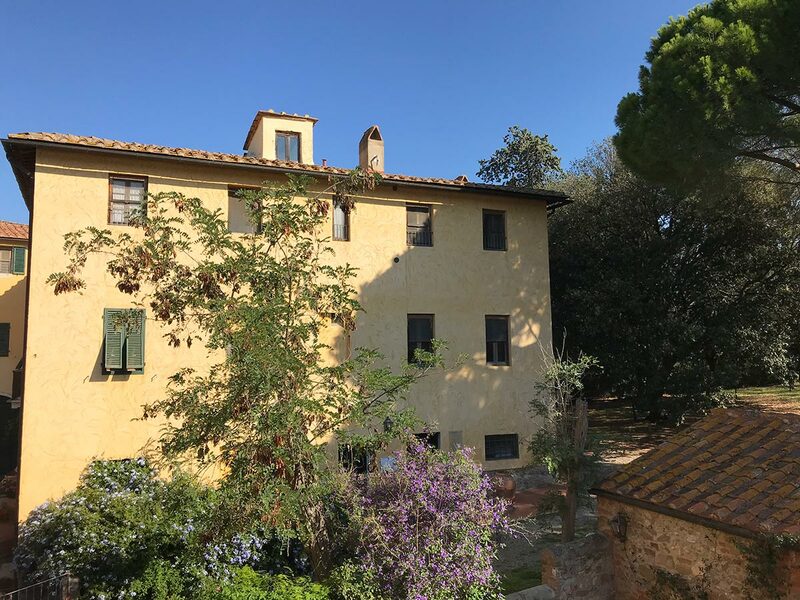 The villa and the other buildings of the farmhouse are surrounded by vineyards and olive groves, pine trees and holm trees immersed in the tuscan countryside. To complete this dreaming panorama, at the horizon, the sky merges with the blue of sea giving back unique emotions. The farmhouse has 7 apartments in tuscan style with wood and cotto details. Completely restored, the apartments offer modern services and original furnishings of the previous century. The ancient oil mill of Tenuta di Vignale is been restored too and transformed into a room perfect for meetings, training courses and parties. Tenuta di Vignale is located on a low hill that dominates the plain of the river Cornia nearby the ruins of an ancient castle known as “Vignale Vecchio”. Probabaly the name vignale has origins from the latin vinealis that probably means that the area was covered of vines. The furnishing of the early twentieth century is a property of the family and helps to maintain that romantic atmosphere for the whole holiday. An ideal place for families, where is possible to spend an holiday of relax… take a look at our pictures! After enjoyed some relax by the pool, discover our territory with excursions and trips..